Hello, I’m Wayne LaPierre of the National Rifle Association inviting you to become a member of the NRA Wine Club. At the NRA, we believe that nothing goes better with live ammunition than several glasses of specially-selected NRA Wine Club wines. Let’s face it, friends, if your weapon is loaded, you’re better off being loaded, too. I’m guessing most of you are surprised that the NRA has a Wine Club. I can understand that. But think of it this way. It’s simply a natural progression from our position as the leading defender of gun rights for Americans. Now, most of you socialists think that guns are responsible for uncountable deaths in the United States every year. And they are! We’re damned proud of that. Most of those deaths are animals, of course, killed for food and sport, but, hell, let’s be honest, lots of humans get shot and killed, too. Sadly, just for sport though. But you know what kills more people than guns in the United States? Drunk drivers! Hell, drunk drivers kill way more people than gun owners. We want a piece of that action. And we think you do, too. You’ve heard me say this, friends, many times, most recently after the reckless sport hunting in Parkland, Florida. The way to stop mass shootings is to ensure that there are armed and well-trained men and women who will step in and defend helpless citizens who come under fire from mentally ill Americans. That cannot be accomplished with gun control, which is clearly unconstitutional. This is so simple even liberal Democrats can understand it. Well, at the NRA we also think that the answer to the unregulated slaughter of innocent Americans at the hands of drunk drivers is to encourage more drunk drivers to be on the roads. It just makes sense. The only real deterrent to a drunk getting behind the wheel of a car is his fear that everyone else on the road is as outrageously hammered as he is! People with guns killing people with guns equals prevention; drunk drivers killing drunk drivers equals safer roads for all of us. It’s just that simple. And have we got just the wines for you to participate in your rights under the 21st Amendment! Supremacy White – You’ll love this light-bodied wine made entirely from the rare French Columbine grape. Elitist wine snobs might hate it, but we love that it has a distinct smell of gunpowder! The perfect wine for your next large gathering — say, a wake. Newtown 2015 Unfiltered Chardonnay – One of the great California wineries sold us the last few cases of their legendary 2015 vintage Chardonnay, with a portion of the proceeds going to fund a new school project in Connecticut, the Kindergarten Firing Range, where toddlers learn how to be comfortable firing guns in close quarters. Are the kids napping, or was there a stranger in here? An armed child is a safe child. Gunlock Badshow 2016 Zinfandel Sonoma – Background checks at gun shows are like checking IDs at liquor stores – totally unnecessary, and bad for the small businessman. Here’s an old vines Zin that everyone can enjoy – from the mentally ill to your high school freshman. It’s killer Zin. Bottled under screw, slightly loose. But it’s not just exclusive, delicious, world-class wines that are part of your NRA Wine Club membership. As a member, you’re also entitled to special benefits not available to any other members of any other wine clubs! •	Free tastings at exclusive wineries around the world! All you have to do is walk in, show them your NRA Wine Club membership card, then your gun, and say, “I’m here for my free tasting!” Many will also offer you money from the cash register! •	A complimentary meeting with the elected government representative of your choice. We own them all! Who would you like to meet? •	Your first shipment will also include your personal Second Amendment corkscrew – simply twist it to suit your purposes! 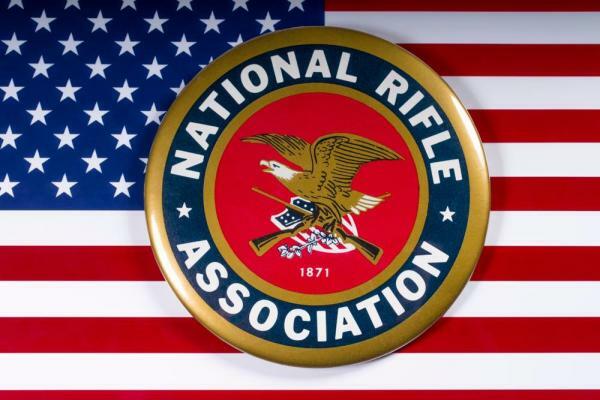 Friends, your membership in the NRA Wine Club helps to support what we at the NRA believe to be your two most important fundamental rights as Americans. The right to randomly shoot things with automatic weapons, and the right to get shitfaced – preferably simultaneously. Show your solidarity and join today! Shouldn’t you be stockpiling wine as well as ammunition? Well, this is your chance! We guarantee that you’ll love every hand-selected wine we send you. If you’re not 100% satisfied, simply visit any neighborhood liquor store with your registered weapon and receive a full refund! It’s that simple. I’m Wayne LaPierre asking, “Why wait?” Join the NRA Wine Club today. You’ll be glad you did. Void where prohibited by law. Yeah, right. Previous post: Wine and social media: goodbye medium+ acidity?